Robots.txt File: Do You Really Need It? This Will Help You Decide! 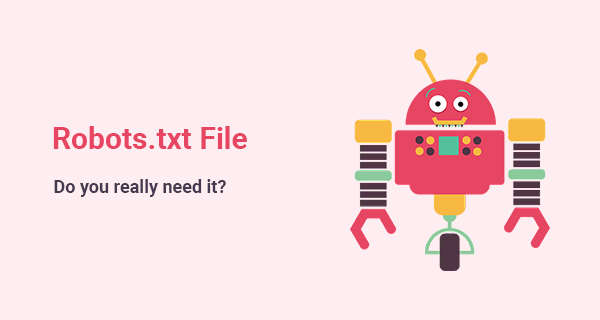 Blog » SEO » Robots.txt File: Do You Really Need It? This Will Help You Decide! If you are new to SEO then you must have at least heard about robots.txt yet. I am going to tell you exactly what’s the purpose of robots.txt and how you can use it to improve your SEO. Robots.txt is a simple text file that you create and place on your website to instruct web crawlers (or the search engine bots) to access different web pages on your site. Robot.txt file is an important part of REP (Robot Exclusion Protocol). This protocol is a group of web standards that regulate the procedure of robots crawling the web, access the content, index it, and serve it to the users. Although it is a simple small text file, it could cause disaster to your online presence. If somehow, you get the wrong file up, a red signal will go for the search engine robots that they are not allowed to crawl on your site. It means that your web pages will not appear on SERPs. Therefore, it is not only important for you to understand the purpose of a robots.txt file with SEO perspective, but you also need to learn how you can check whether you are using this robots.txt file correctly or not. If you don’t want the search engine bots to crawl “certain” pages of your site, your robots.txt file will be responsible to give out this instruction to them. Let’s say, you don’t want any of your images to be listed on the search engine, you can block search bots by simply using a disallow directive in your robots.txt file. When search engine bots try to index your site, they first look for a robots.txt file in the root directory. This file contains the instructions on which pages they can crawl and index them on SERPs, and which they can’t index. How to Check if Your Site is Using a Robots.txt File? 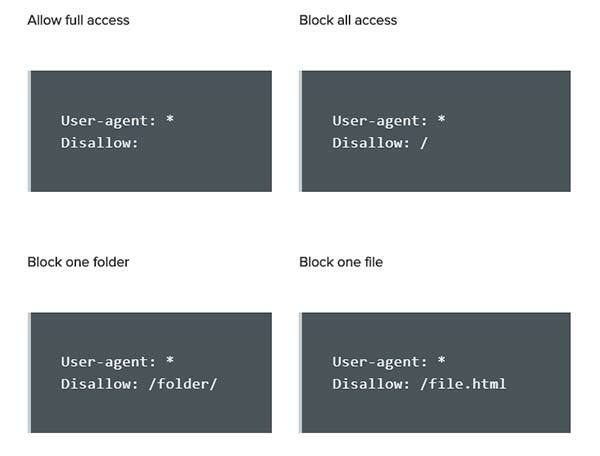 Is your Robots.txt File Blocking Important pages? With the help of Google Search Console, you can check if your robots.txt file has blocked certain page resource files which are required by Google to fully understand your web pages. Does your Website Need a Robots.txt File? It is not necessary that your website has a robots.txt file, and it is totally fine as well. In many cases, you don’t need a robots.txt file. If your website doesn’t have a robots.txt file, search engine robots will have an easy and full access to your website. This practice is very common. If you want to create a robot.txt file, you can create one easily. This article from Google helps you in understanding the whole process. When a search engine robot visits a website, and it doesn’t find any robots.txt file there, it feels free to visit all pages of the website. When your website has a file named robots.txt but it doesn’t contain any content, the robots crawl each web page. After reading these two lines, the robot will automatically read all your web pages. What if you Don’t Want Any of your Content to be Crawled? Robots.txt could be playing an important role in determining the position of your website on SERP. This is the reason, you need to handle this simple but important file carefully. I hope you find this post useful. If you need any help with SEO, please feel free to check out my on-page SEO services.